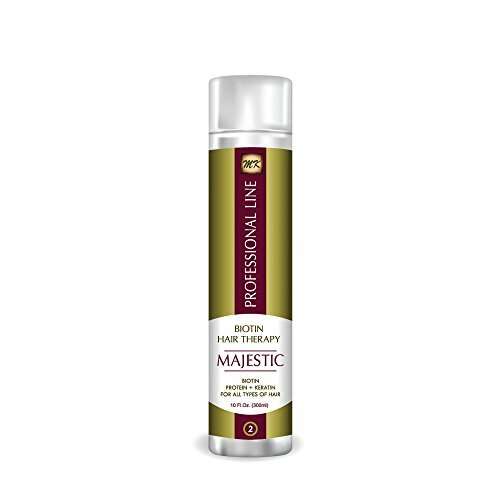 Majestic Hair Biotin treatment is the world first natural liquid Biotin (B7) formula that is infused directly into the hair shaft. Our research team was able to convert the Biotin, also known as Vitamin "B7" into very small molecules that can be easily absorbed into the hair follicles during the treatment. Biotin "B7" is essential for your hair health and strength. The formula is also combined with natural proteins, keratin and collagen that will also remove frizz, reduce volume, straighten, soften and deeply restore damaged hair. It is a new magnificent formula for healthy natural looking and strong hair. If you have any questions about this product by MAJESTIC KERATIN, contact us by completing and submitting the form below. If you are looking for a specif part number, please include it with your message.